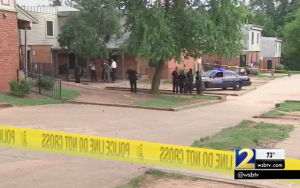 Two men have allegedly been arrested in connection with the July 14th Atlanta apartment shooting, which claimed the life of Calvin Clark, Jr. According to the AJC, Mr. Clark was shot and robbed outside an apartment complex “in the 600 block of Newtown Circle.” Tragically, he succumbed to fatal injuries. How did the gunmen gain entry to the property? What security measures, such as gated-entry, surveillance cameras and security patrols, were in place and working at the time of the shooting? By law, property owners in Georgia are required to protect all those legally on the premises from any foreseeable harm. Should the facts of this matter reveal that the apartment complex owner or management failed to provide adequate security, the family of Calvin Clark, Jr. may seek justice and elect to pursue legal claims for his wrongful death.